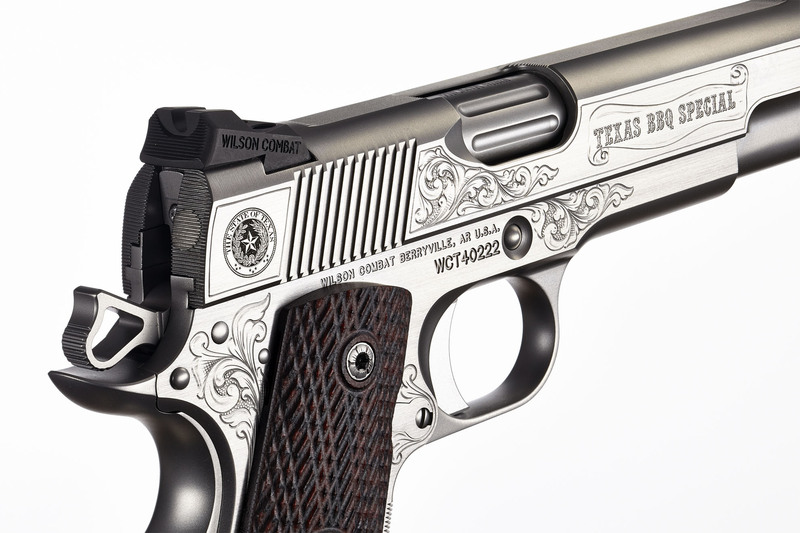 The Wilson Combat Texas BBQ Special is our unique version of this legendary classic--a pistol fancy enough for the most formal gathering, but still built to deliver first class shooting performance on the range and on duty. The great state of Texas is well known for the fancy fighting firearms worn by members of the elite Texas Rangers. 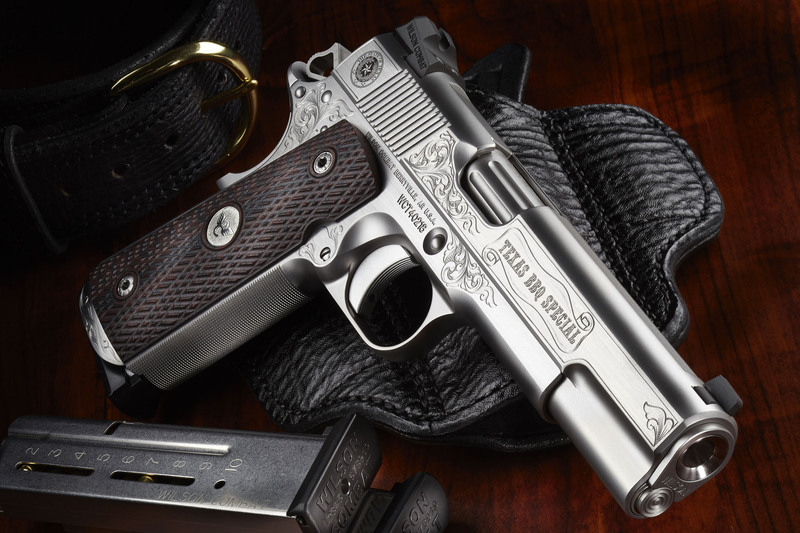 These fully dressed-up carry guns, often hand engraved, are almost always some version of a 1911 and are traditionally worn at special get-togethers and barbeques by gunmen across Texas. The Wilson Combat Texas BBQ Special is our unique version of this legendary classic--a pistol fancy enough for the most formal gathering but still built to deliver first class shooting performance on the range and on duty. The Texas BBQ Special starts with our machined stainless forged and billet parts--the best in the industry and hand fitted to perfect reliability and target grade accuracy. All controls have been selected for everyday carry and hard use. Three distinct coverage levels (Level Two coming soon) of special hand engraving from Master Engraver Wayne D’Angelo are offered on this model. These engraving patterns feature many of the hallmarks of a traditionally-engraved Texas BBQ gun with a host of cosmetic details that will make a strong impression on the most discriminating aficionado. Not just for Texans but for the Texan in us all, the Wilson Combat Texas BBQ Special will be a functional heirloom prized by generations for years to come.